Okay, so I'm trying something new. I'm going to post what I'm planning on making for the coming week. It's mostly to keep me organized, but to also hopefully help you get ideas on what to make for dinner. I'm really lucky, my boys are very well taken care of at the day care that we go to, she provides breakfast, lunch, and snacks that work for their diets. My older son does eat breakfast at home before heading off to kindergarten, but he's the only one I have to worry about, besides me, in the morning. My little one will usually eat something, too, but sometimes he wants to wait until he gets to day care. So, I'm explaining this, so you'll understand why I mostly just focus on dinners, and not on breakfasts and lunches. Next year, when my older one is in first grade, I will definitely focus a lot more on the lunches. Lunches: Since, it's just me I have to worry about, it's typically leftovers, with fresh fruit and veggies from my bountiful basket. 1. Preheat oven to 375F. In a large bowl mix together peanut butter and shortening until smooth. Add in sugars and mix until blended. Beat in eggs and vanilla. 2. In a separate bowl mix together flour blend, baking powder, baking soda, and salt. Add the flour mixture to the peanut butter mixture and mix well. 3. Press dough into an ungreased 13"x9" baking dish. Bake at 375F for 15-18 minutes or until lightly browned. Cool on a wire rack. 4. In a small bowl, combine the 1/2C shortening with vanilla. Add milk and powdered sugar. Beat until mixture is smooth and creamy, then mix in the peanut butter. 5. Spread the frosting over the cooled bars. Spread jelly over the top of the frosting. I love when I find a recipe that looks too easy to actually work, and when I convert it, it actually works. That's what happened here, I found this recipe, easily converted it and it worked. 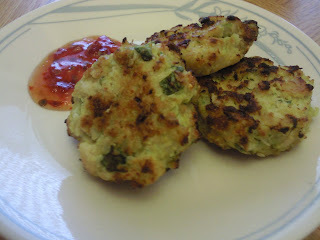 It worked so well, that my older son and I gorged ourselves silly eating them straight up, out of the pan. And he was sooo excited to eat cheese quesadillas with flour tortillas instead of our regular corn ones. 1. Cut the margarine into the flour until it is evenly distributed and looks crumbly. I use my food processor, and it takes all of the work out of it. 2. Dissolve the salt into the hot water. Pour the water into the flour mixture and stir until combined. I actually used my hands and kneaded it to get all of the flour incorporated and the dough smooth. 3. Divide the dough into 12-18 balls. Flour (with gf flour blend) a clean surface and roll each ball flat, try to make it as thin as you can. 4. Heat skillet on high then reduce it to medium. Place the flattened dough into the skillet and cook until a few bubbles form then flip. Allow the other side to cook about 1 minute (it was about 1 minute on each side, once I got going). 5. Stack the completed tortillas on a plate and continue to cook until finished. The heat from the surrounding tortillas will both keep the tortillas warm, and keep them soft. Note: If you are going to freeze them, place plastic wrap in between each tortilla and then freeze them in a ziploc bag. This post is featured on Simply Sugar & Gluten Free's Slightly Indulgent Tuesday and Cybele Pascal's Allergy Friendly Friday. So, I am inherently lazy. If I don't have to make something totally from scratch, well, I won't. 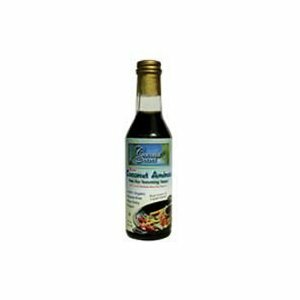 I have a soy sauce substitute, but I do miss the days of just pulling out the soy sauce from the fridge to make my teriyaki sauce. We know that my little one is okay with the soybean oils, but I haven't had the guts to reintroduce soy protein into his diet, and like I said, I've been lazy, so we haven't had any dishes lately that have required soy sauce, until last night. :) I discovered Raw Organic Vegan Coconut Aminos and splurged and bought it, and I'm so happy I did. It was expensive enough, we still won't have teriyaki that often, but it was so worth it, it is a better substitute than my homemade sauce. The sauce itself definitely is not salty like soy saucy, but still have that deep, pungent taste (slightly different, but similar enough that in a teriyaki sauce you don't notice it). Stir together the flour, baking powder, and salt into a bowl. In another bowl, whisk together the yogurt, 1 cup sugar, the eggs, the zest, and vanilla. Slowly mix the dry ingredients into the wet ingredients. With a rubber spatula, fold the canola oil into the batter, making sure it's all incorporated. Pour the batter into the prepared pan and bake for about 45-50 minutes, or until a cake tester placed in the center of the loaf comes out clean. Meanwhile, cook the 1/3 cup grapefruit juice and remaining tablespoon of sugar in a small pan until the sugar dissolves and the mixture is clear. Set aside. For the glaze, combine the powdered sugar and grapefruit juice and pour over the cake. This recipe is featured on Cybele Pascal's Allergy Friendly Friday and Real Sustenance's Seasonal Sunday. I really am not sure I should call these granola bars, they are more like granola treats. Really they are basically like rice krispy treats, but with granola instead, so yeah, they are granola treats. They are really good, and a great way to sneak in whole grain, but at the same time you are eating marshmallows...just so you know. :) So, yes, this is a dessert. Grease a 13X9 baking pan with dairy-free margarine or cooking spray. Set aside. Put marshmallows and the 1/4 cup margarine in a large saucepan. Heat over medium-low heat until marshmallows are melted, stirring constantly. Remove from heat and mix in granola and rice cereal. Transfer to the prepared baking pan and press the mixture down with a greased rubber spatula to make it even. Once the mixture starts to cool, press the mini chocolate chips into the top of the treats. 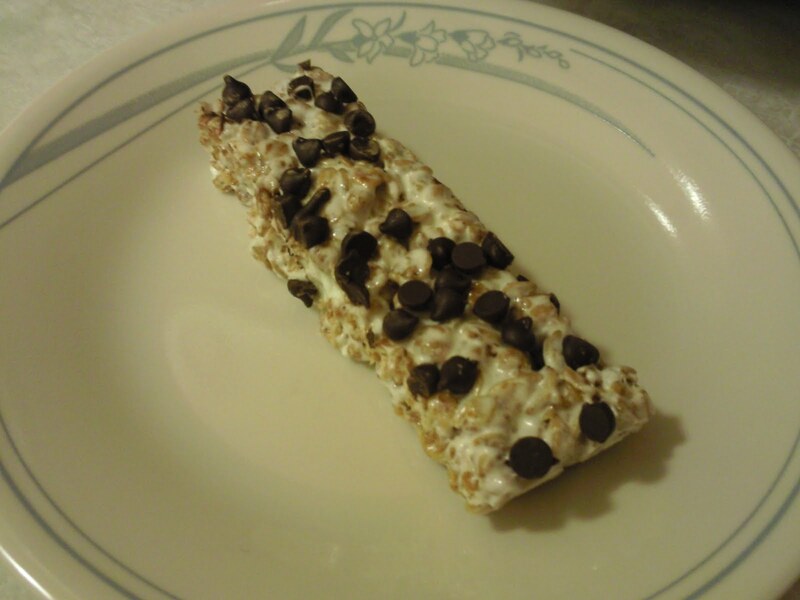 Once completely cooled, cut into bars. 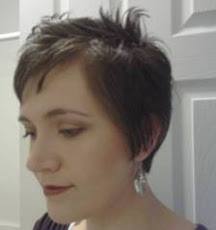 This post is featured on Cybele Pascal's Allergy Friendly Friday for 4/22/11. Check it out here. I love my Mom's corn fritters, they are so easy to make...but I never have a key ingredient for her recipe...a can of creamed corn. For some reason, I never remember to buy cans of it when I'm at the store, so I then never make corn fritters. 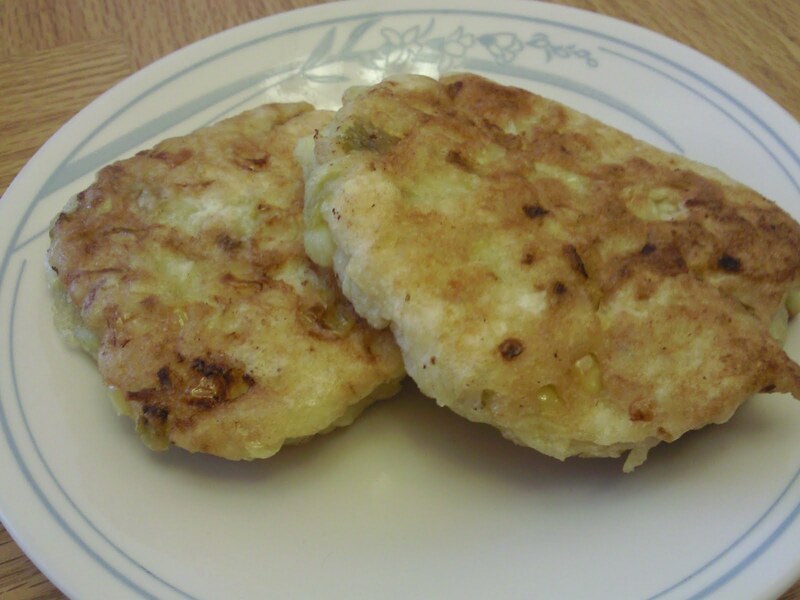 Well, today I wanted corn fritters, and I also wanted to use up an open can of green chilies, so I concocted this recipe, and it turned out pretty good. Mix together flour, baking powder, and salt. Add in egg and water and stir until smooth. Stir in corn and chilies. Meanwhile, generously coat a skillet with canola oil and heat over medium-high heat. When oil is hot, spoon about 2 heaping tablespoons worth of batter into the pan to form one fritter, patting it down with the back of the spoon as soon as it is in the pan. Don't overcrowd the pan, I only cooked about 3-4 fritters at a time. Let cook about 4-5 minutes on each side, flipping the fritters when they are nicely browned on one side. When browned on the other side, remove the fritters to a plate lined with paper towels to absorb the excess fat. 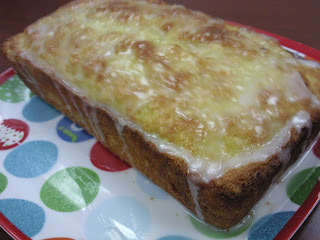 This recipe is featured on Simply Sugar and Gluten Free's Slightly Indulgent Tuesday for 4/19/11. Go check it out and see what other great recipes are there. Combine onion, garlic, ginger, and the jalapeno in a food processor and pulse until finely chopped. Add chicken, cilantro and fish sauce and pulse until well blended but not totally pureed. Transfer to a bowl and mix in the egg and bread crumbs (I always use my hands for this). Heat broiler to high with rack 4 inches from the heat. Line 1-2 baking sheets with foil and spray with cooking spray. Shape the chicken mixture into 20-24 patties, bout 1/2 inch thick and place on the baking sheets. Broil for about 4 minutes on each side. Serve with sweet chili sauce. I got a dozen anaheim peppers this past weeks in my Bountiful Basket and wasn't quite sure what I wanted to do with them, so I roasted and peeled them, and stuck them in the fridge. But, they didn't stay in the fridge for very long, I saw this recipe and knew I had to stuff my peppers with it. I really didn't change the recipe much, I used my homemade fresh salsa in it (which I think makes a huge difference) and I warmed up the mixture once everything was combined. I then stuffed my peppers with it and heated those up for a few minutes, easy peasy. :) This is actually really incredible cold, it may be my go to salad at potlucks from now on, it's really awesome. I have the recipe below, but all credit goes to Parents magazine, it is an incredible recipe and really easy, too. And, for all of you that rolled your eyes when I said I made my own salsa for this, it took less time to make the salsa than it did to cook the quinoa (I know because I made it while the quinoa was cooking and I prepped the corn, black beans, and cilantro, too). Rinse quinoa under cold running water. In a medium saucepan, combine 3/4 cup quinoa with 1-1/2 cups water. Heat to boiling over high heat. Stir in salt, reduce heat to low, cover, and simmer for 20 to 25 minutes or until liquid has been absorbed. Once cooked, add in corn, beans, lime juice and cillantro and heat through. (If you are using this as a salad, you don't need to heat, just serve). Meanwhile, place peppers under a hot broiler and cook, rotating every few minutes, until skin is blistered and blackened. Place the peppers into a large brown paper bag and allow to sit for 10-15 minutes. Wearing gloves (I use the yellow rubber kitchen gloves) peel the skin off of the peppers, and make a slit in the side of each one. Remove the seeds and the membranes from each, then set aside. 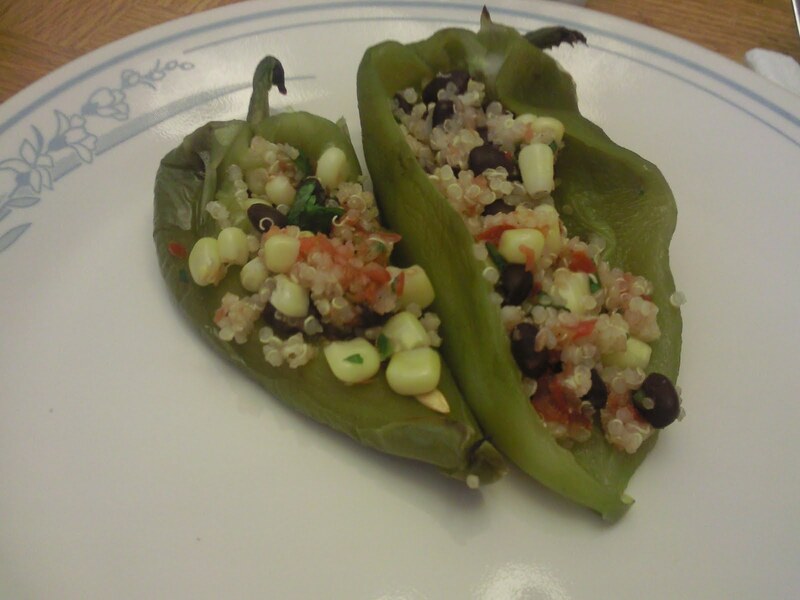 To stuff the peppers, place a few tablespoons of the quinoa mixture in each pepper and set in a baking pan. Once all are stuffed cook at 350F for 10-15 minutes or until heated through. This post is featured on the Real Food Weekly and Slightly Indulgent Tuesdays. I like my dairy-free ranch dressing, but I have really been missing Hidden Valley Ranch. I know, it's silly, and I can totally live without it, but I really wanted some. And, well, my dressing just wasn't doing it for me. So, I set out to change up my dressing and see how to make it better, and its better. After reading several recipes, and taking what I liked from mine and combining it with others...voila! It's not Hidden Valley, but its pretty dang good. I was finding excuses to have salad dressing, and was licking the spoon, too...I never lick condiments off of utensils...never! Measure coconut milk and add the lemon juice into the measuring cup. Mix together, and let sit for 10 minutes. Meanwhile, in a small bowl mix together the remaining ingredients. Add in the milk mixture and whisk together, making sure all lumps are removed. Refrigerate for a few hours to let the flavors blend. 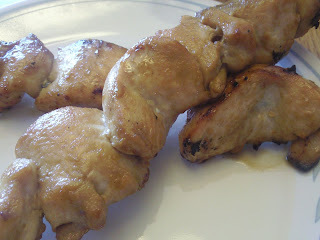 Okay, this is an old standby recipe, and I can't believe I haven't put it on here yet. 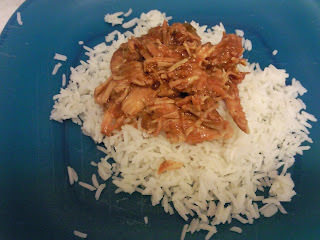 It's basically a easy copycat recipe for Cafe Rio's or Costa Vida's Sweet Pork. And its incredibly easy. It works with about any meat...I usually use pork, but if I happen to not have any in the house (like this time), I use chicken thighs or breasts, or a beef roast. I thought I would attempt to make homemade refried beans and corn tortillas to go with it and it worked out pretty well. 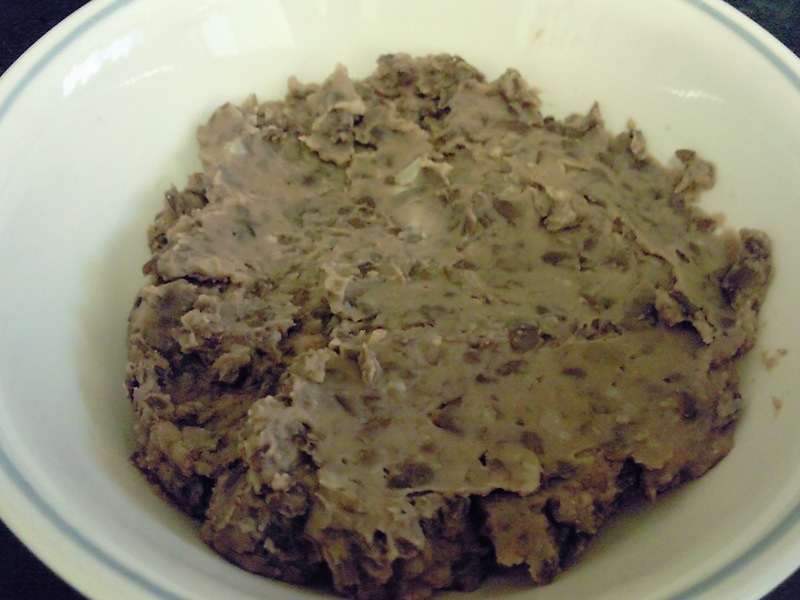 I didn't have dried beans in the house, and this was a spur of the moment thing, so these are more of a shortcut refried beans, because I used canned black beans. With the corn tortillas, I simply followed the directions on my Masa flour...I know I can improve this recipe, they were tasty, but kind of fell apart, like corn tortillas tend to do. This post is linked here for Slightly Indulgent Tuesdays on Simply Sugar and Gluten-free. Place meat in a slow cooker. Mix together salsa and brown sugar and pour over meat. Cook on low 8-10 hours (unless you have chicken then do 6-8 hours). Shred and serve over rice or with corn tortillas. Place drained beans into a saucepan and cover with 4 cups of water and 1/2 teaspoon salt. Bring to a boil, reduce and simmer for 2-3 hours. Drain beans, reserving the liquid. In a heavy skillet heat oil. Stir in onions, cook until transparent, add in garlic and cook another minute. Stir in beans and seasonings. Mash thoroughly with a potato masher. Stir in enough of the cooking liquid to make a pastelike mixture. 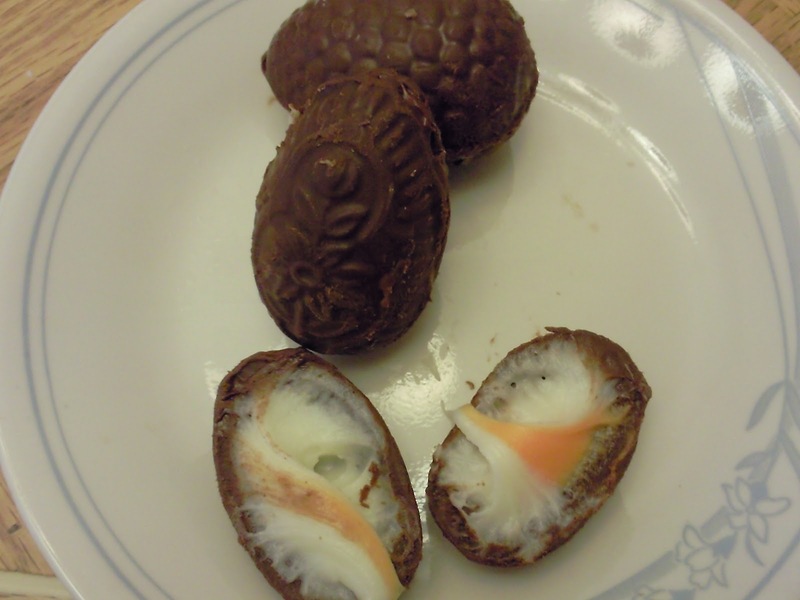 Easter is not Easter without the Cadbury Creme Eggs, so I set out this morning to make our own version of it...and I'm pretty sure it was a success, because I ended up making 2 more batches today, just so we'd have some tomorrow. I'm pretty sure we're on a sugar high right now. :) If you don't have egg molds, you can just roll the filling, freeze them, and then dip them in the chocolate...its so worth the $2 to buy the egg molds, though and have chocolate eggs for Easter. :) Happy Easter a few weeks early! Combine the corn syrup, butter, vanilla and salt in a large bowl. Beat well with an electric mixer until smooth. Add powdered sugar, a little at a time and mix after each addition. Mix until creamy. Remove about 1/3 of the mixture and place in a small bowl. Add in food coloring (I made mine an orangish color) and mix well. Place both mixtures into pastry piping bags (or in my case, gallon ziploc bags with the tip cut off). Set aside. Melt chocolate either in a double boiler or in the microwave. Once smooth fill the chocolate molds and place them in the freezer for a few minutes (my eggs were perfect after 3 minutes). 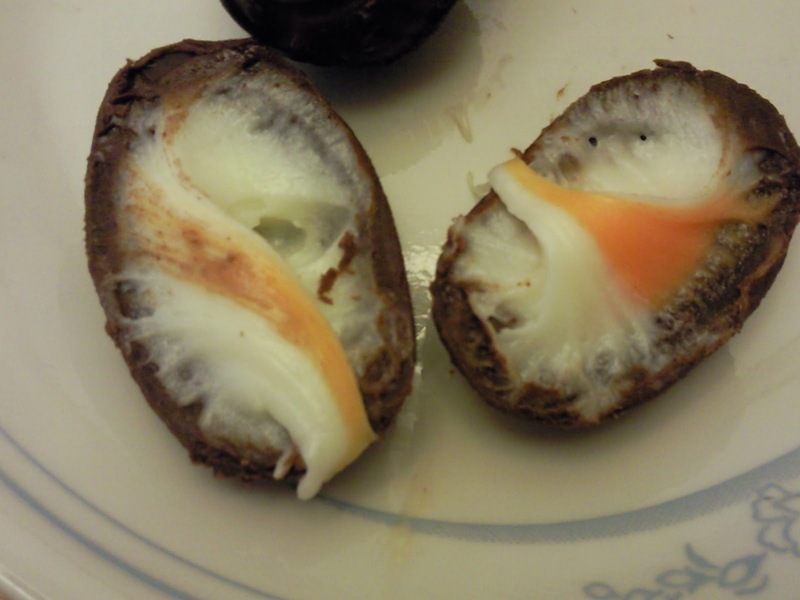 You want the outsides of the egg set, but the inside still melted, or at least really, really soft. Hollow out the egg half by scooping out the softened middles. Place back in the freezer for a few more minutes until completely set then remove from the molds. Repeat until all of the chocolate has been used up. 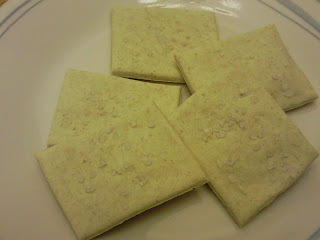 I love saltines, yes, they are a very simple cracker, but they are so handy to have around. So, I've set out to make my own. These crackers aren't as delicate as a typical saltine, but they turned out pretty good. To get the cracker crispness it worked best for me to have them small, like ~1"x1" small. If you want them bigger, cook them longer. Another key I found was that you need the dough as thin as possible, the thicker ones (it was my first batch, and I thought they were thin) ended up being like a hard flatbread, too soft for a cracker to hard for bread...not what I was looking for...so roll the dough out as thin as you can. Other than that, enjoy! Combine the dry ingredients together in a food processor, add butter and pulse until butter is well incorporated. Stream in milk. Once mixed place on a piece of parchment paper and knead a few times to smooth the dough out and finish mixing it. Divide the dough into a couple pieces and roll it out very thin onto the parchment paper. Transfer the parchment paper to a cookie sheet. Sprinkle with sea salt and prick with a fork (I actually didn't do this, but if you want the classic saltine look, prick). Cut into 1" squares with a pizza cutter. Bake at 375F for 13-15 minutes. If you are making large crackers (2 1/2" squares), bake for ~20-25 minutes.